When Jacob Barnett was just two years old, his mother was told he might never be able to tie his own shoes. “The only way I can describe it is a complete lack of hope,” Kristine Barnett told CTV’s Canada AM on Tuesday, describing her son’s initial autism diagnosis. The perceived wisdom was very, very wrong. Today, at just 14 years old, Jacob has a higher IQ than Albert Einstein and is a Master’s student on his way to earning a PhD in quantum physics. Barnett documents it all in her book The Spark: A Mother’s Story of Nurturing Genius. When doctors and experts pushed for more special education, Barnett said she followed her son’s “spark” instead. Rather than focusing on what her child couldn’t do, she decided to focus on something he enjoyed: the stars. As it turned out, the stars changed his life forever. “Under the stars is where I found what Jacob is truly good at,” Barnett said. At night, she would sneak her son away from his frustrating therapy to listen to jazz and gaze at the sky. He learned to love the stars so much at a young age that she ended up taking him to a lecture at an observatory. “I was very nervous about it because he was a little boy,” she said. But when the professor asked a question about the Red Planet, “his little hand shot up and he knew the answer,” she said. Jacob went on to teach himself calculus in just two weeks, began working on an original theory in astrophysics at the age of nine, and became a paid researcher in quantum physics at the age of 12. He also says it’s easy to recite 205 of the digits in the number pi. “We actually had no idea Jacob would be doing any of the things he’s doing,” Kristine said. Barnett has a message for parents feeling hopeless over their child’s autism diagnosis: “In every child, there is a spark,” she said. 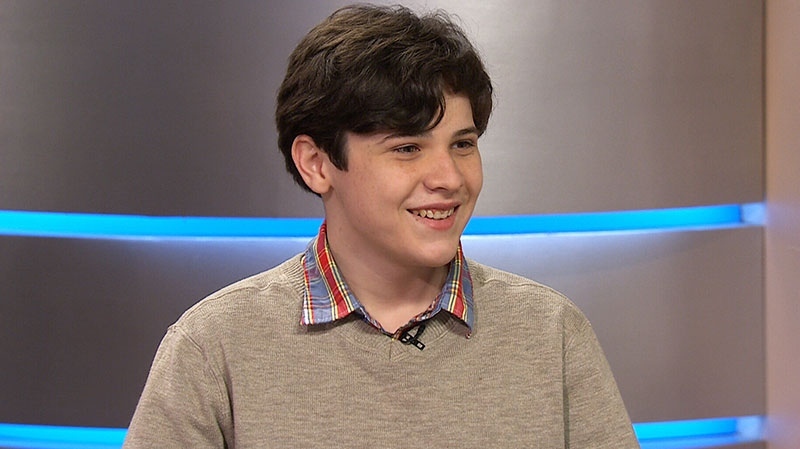 Jacob Barnett speaks on Canada AM, Tuesday, May 28, 2013. Kristine Barnett and her son Jacob speak on Canada AM, Tuesday, May 28, 2013.